Adobe Flash enabled us common web browsers to do some pretty amazing things. The oft maligned and once ubiquitous web technology transformed our online experience from reading basic pages to an interactive world of online videos, games and video conferencing. I for one have a lot of love for it. That being said, many people have had some strongly worded Thoughts on Flash and I’m there. I understand the grievances. 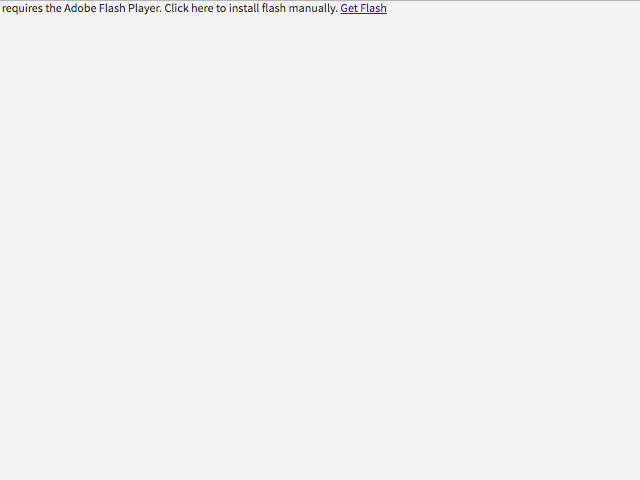 Actually, Flash is probably installed. It’s likely just disabled. Instead of ghosting, which is my preferred method of leaving a party, I thought that in introducing Newrow’s new WebRTC platform, newrow_ smart, I’d save some parting words for Flash. In 2009, when newrow_ (then Watchitoo) launched we introduced a browser-based video collaboration platform that was easy-to-use, interactive, embeddable and capable of reaching tens-of-thousands of actively engaged participants. We collaborated with (and continue to collaborate with) television networks like VH1, Animal Planet, CBS, MTV and Bravo to help engage audiences online through live interactive programming. The NBA even hosted a virtual town-hall embedded on their Facebook page as a means to excite audiences for their return at the end of their 2011 lockout. Companies like Avon hosted large training events for their thousands of sales people online using newrow_ embedded on their websites and HP ran a series of QVC-styled interactive programs, HP Show and Tech, embedded directly on the Walmart website. The National Oceanic and Atmospheric Administration (NOAA) ran remote, online training programs to ensure 100% of its employees attended mandatory certification training sessions and the U.S Department of State ran various programs throughout the world. That was the power of Flash. With nothing but a web-browser and the Adobe Flash plugin installed, anyone could successfully run an interactive program for thousands of people embedded on their website complete with professional moderation tools, a virtual control room and custom branding. Adobe Flash made that possible. It helped ensure that participants joining from any browser on any computer could do so until it didn’t. As users moved from traditional desktops to laptops, tablets and phones where touch functionality and extended battery life are essential features, it became necessary to work with technologies that could provide the rich interactive and audio & video streaming capabilities of Adobe Flash and then some. Enter WebRTC. WebRTC (Web Real-Time Communications) is an open project with a simple mission. To enable rich, high-quality RTC applications to be developed for the browser, mobile platforms, and IoT devices, and allow them all to communicate via a common set of protocols. It is simplifying and standardizing how we communicate online and it is changing the way we work. Instead of requiring users to install 3rd party plugins for cross platform operability, WebRTC enables real-time communication within the browser. The standardization of API’s and being an open project is creating an environment ripe for innovation. newrow_ smart is the newest product launched by Newrow, Inc. and it’s built with WebRTC. That means anyone can run interactive classes straight from their web browser. There’s no Flash and no downloads required to teach, collaborate, share, record and publish from anywhere. With newrow_ smart we didn’t simply take our existing education, training and live event solutions and build them with the latest technologies. We performed a top-to-bottom product review — interviewing customers, evaluating market trends and analyzing user data — and approached newrow_ smart with the mission to provide a simple, browser-based interactive training platform to enable educators to teach without technology problems getting in the way. We wanted “click-to-teach” functionality where online educators could simply invite participants to a live class by sharing a URL. So, that’s where we started. An instructor sends a URL. Participants click the URL, enter their name and then they are in. Webcams and microphones are automatically detected. The class begins. Instructors and participants do not have to download or install any 3rd party software. newrow_ smart supports up to 25 concurrent webcams on stage at a time with many more viewing and participating in text chat or through pop-quizzes and quick-polling. Moderators are provided features to control which participants are visible on stage as well as those that can speak to the class. Feature highlights include desktop share, whiteboard, file management system to share all major file formats (presentations, videos, images, documents, PDF’s, audio) synchronously, collaborative file annotations, YouTube integration to search & play YouTube videos, playlist to organize class materials, participant list and moderator controls, cloud recording, administrative features for user & course management, and more. If you could not tell already, I am incredibly excited about newrow_ smart (Reminder: I do work at Newrow). It makes teaching online easier and learning online more engaging. It also takes us one step closer to realizing our goal of recreating (and maybe even improving upon) the physical classroom online.